Monika De Souza discovered her passion for dance after enrolling at Durham Dance Centre in jazz, tap, hip hop, ballet, stretch and musical theatre. After completing high school, receiving the graduation drama award, she was accepted into the highly acclaimed dance foundations program at George Brown College/Ballet Jorgen. There, Monika was introduced to modern/contemporary dance. Upon graduation, Monika decided to further her dance education and training at York University, where she completed her B.FA with Honours specializing in Dance. Performing and choreographing through York Dances and York Innovations has taught Ms. De Souza how to critically think as a professional artist in the working industry. She also had the opportunity to attend classes and train in New York with choreographers from the hit show So You Think You Can Dance such as Mia Michaels, Wade Robson, Brian Friedman, Shane Sparks, Tyce Diorio, Dave Scott, and Laurie Ann Gibson. While there, Monika also trained with Janet Jackson's choreographer Gil Duldulo. She trained with these choreographers in Toronto as well during the Pulse Dance Tour for the past several years. Monika lived in Los Angeles last summer and returned again this past summer, training with celebrity choreographers and teachers at Millennium Dance Complex. Mrs. De Souza has taught throughout the Toronto area starting as an assistant at her home studio, and then pursuing her own classes in various studios and locations, teaching various styles including ballet, jazz, hip hop, modern/contemporary, lyrical and musical theatre. 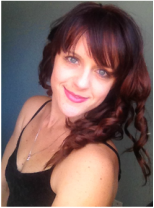 She has been teaching and choreographing competitive and recreational classes and has experience teaching beginner classes and working with advance dancers. Recently, Monika has started guest teaching and choreographing for multiple Toronto District School Board schools. Monika prides herself in her teaching, which inspires and encourages her students to push themselves in their technique, individuality and creativity.